There are few genres I actively dislike and fewer still that I outright avoid. Horror is one of them and the one I've often felt I had the least knowledge of. Even as a kid, I disliked the horror-lite range of books - I wasn't a fan of mysteries and I didn't much like straight-up suspense books. Horror - which seemed to me like a particularly bloody twist on suspense - never appealed to me at all. But I recently read a book that I would have to define as horror, even if no one else would. This is a book so thoroughly disturbing, so utterly horrific and terrifying that at the end of the day, despite wearing its "literary" stripes proudly, I must label it horror. And I furthermore must admit to having enjoyed the book... in a perverse, disturbing sort of way. 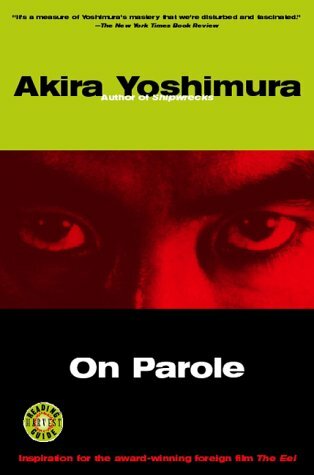 The book in question is On Parole by Akira Yoshimura and to be honest, I might not have been surprised by the horror aspects had I read the book in English. 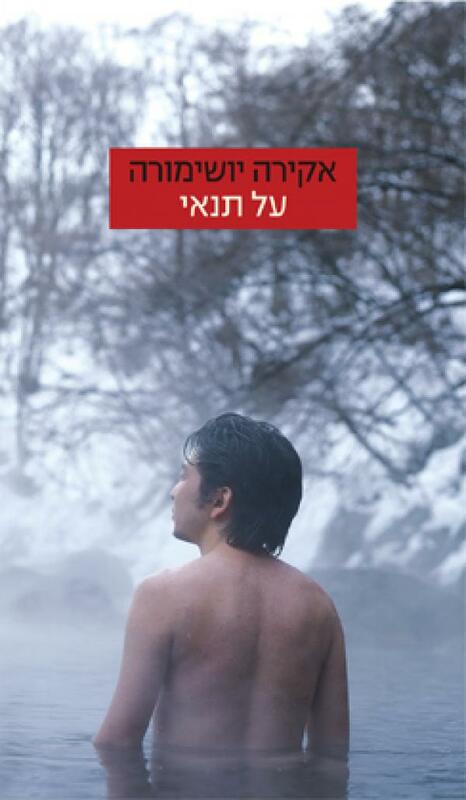 The Hebrew cover is docile and calm, much like the overall tone of the novel, while the English edition comes equipt with a sharply colored piercing glare. This stark difference can easily be explained: On Parole is a paradox in much of its presentation. It's a quiet book - the passage of time is quick and gently done, jumping across seasons easily - while Yoshimura eases readers into main character Kikutani's mind and world without much dramatic flair. And yet it's impossible to forget the premise and the setting. Yoshimura spares no time in letting the reader know that Kikutani has committed a horrendous crime and though we only learn the details late in the book, the crime - and its implications - are obviously the focus of this short novel. But what does it mean that On Parole is horror? That it's a quiet, disturbing book? That it made me think long and hard about the standard horrors in the world around us? That it brought to life the kind of character I would normally find repulsive by any means? That it managed to completely unhinge me for a few days straight? If horror isn't the combination of all these - as opposed to blood and guts like the named genre always appears to be - then what is it? Oh, I definitely think this book qualifies as a horror novel from your description and reaction to it. I had never even heard of this book before, but now you've got me curious about it and wanting to find out more. Do you think you will start seeking out more books in this vein after enjoying this one so much, or are you still going to try to avoid the horror genre? I've never heard of this book before, but I completely agree with you. The kind of chill that sneaks up on you and gets under your skin are a thousand times scarier than blood and gore.